Trademarks are meant to be a means of protecting your unique logo or tagline that corresponds with your intellectual property. With a large amount of businesses and organizations in the United States, almost 28 million small businesses alone, there are intellectual property laws and trademark attorneys to help navigate the various rules and regulations. Get your answers to common questions regarding trademark services and you’ll know your rights. What exactly are the benefits of a registered trademark?While you can protect your trademark under common law rights by simply using the “TM” or “SM” mark in commerce, there are many advantages to registering a trademark with the United States Patent And Trademark Office. By registering your trademark, you’re establishing a legal precedent of your ownership over the mark and your exclusive right to use the trademark. If you need to contact a trademark attorney and go to federal court over an action concerning the trademark, registering it will allow you to do so. You will also be able to use the circled “R” symbol to denote federal registration of your trademark. How long does it take to register a trademark?The registration process is affected by a variety of different factors, which makes the exact length of time difficult to predict. The total application process typically takes between 6 months and one year after you’ve filed the application. The total processing time depends primarily on your basis for filing and legal issues that could arise during the examination process. Am I suppose to register my company’s name or our logo?While you cannot register both your company’s name and the logo in the same trademark application, you can submit multiple filings. Businesses may submit separate filings for the company’s name, company logo, product name, and product logo. However, each application has attached fees and the financial commitment of submitting so many filings at once may not be feasible for many small businesses. If you can afford just one application, it is beneficial to start with registering your business’s name under a standard character claim, which broadly covers your name regardless of font or stylistic elements used. 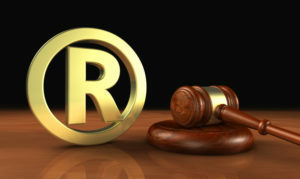 Whenever you are concerned with the legal protections surrounding your trademark, it is always best to consult with an experienced trademark law firm. Your trademark attorney will be able to give you the best legal advice and can help you take legal action if needed.